Over the last 20 years, McTear Williams & Wood have emerged as the leading business rescue and insolvency specialists in East Anglia and London. They alleviate pressure for company owners in financial difficulty. They also assist money lenders looking to recover their funds. 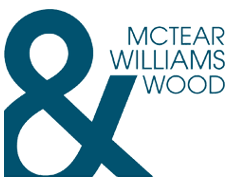 As one of the UK’s largest independent business rescue and insolvency firms, McTear Williams & Wood have a wide portfolio of services. This required a large scale, high quality web presence, with digital marketing services and IT support to match. 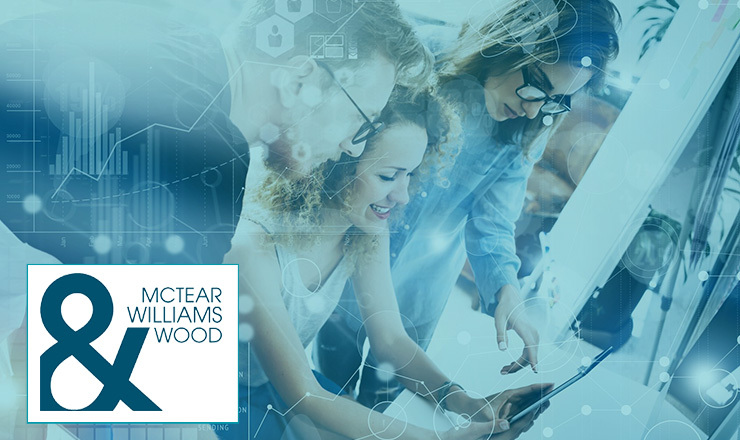 Our web developers have carried out a series of short-term and long-term tasks for McTear Williams & Wood. For example, we updated their Chat Box widget, as well as their ‘Business Healthcheck’ feature, helping business owners ascertain their financial viability. Our aim in web development is to create a user-friendly experience, empowering clients to get what they want out of their website. 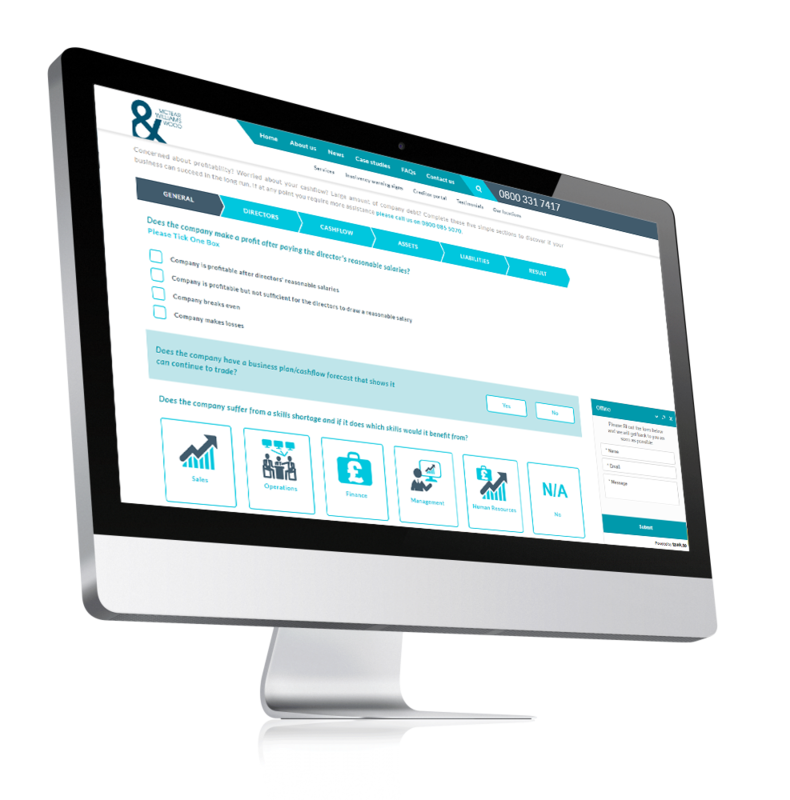 We have the strategic flexibility to balance multiple projects with varying timescales. 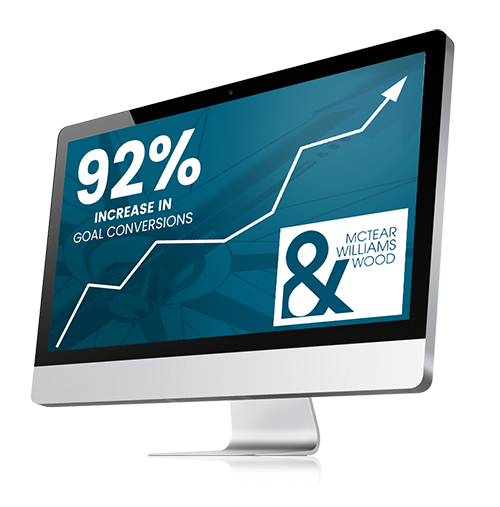 The overarching goal for McTear Williams & Wood's website is to increase customer engagement. This can be via phone calls, online enquiries, or interaction with their previously-mentioned ‘Financial Fitness Feature.’ These points of engagement become ‘goals’ for us to measure our efforts against. Our work has definitely had a positive impact. The amount of completed ‘goals’ has increased by 92% between June 2017 and 2018. Alongside this, we carry out routine activities known to maintain the general “health” of a website, ensuring the website meets the demands of Google’s ever changing algorithms. These include checking for broken or misdirected links, regularly reviewing the website for user-experience, and link building to bolster our client’s online authority. 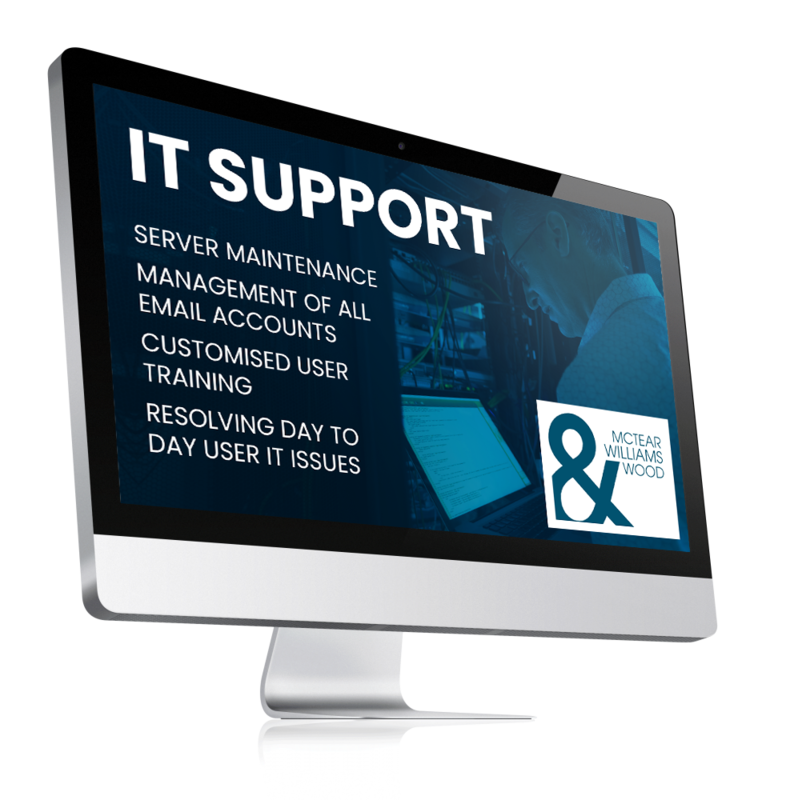 Our bespoke IT services can be broken down into three main stages, and this certainly applies to our work with McTear Williams & Wood. 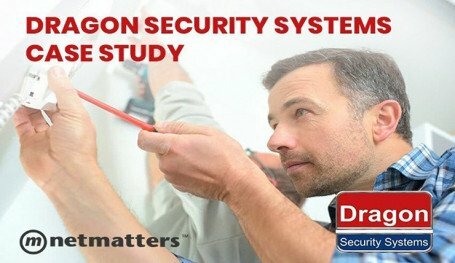 First, we will audit a company’s IT infrastructure, and install and upgrade any hardware they may be lacking. Secondly, we will host and maintain critical services. We did this for McTear Williams & Wood’s email accounts as well as their server, not to mention providing anti-virus software. As well as being proactive in checking their network functions properly, we resolve day-to-day IT-related issues. Finally, we will carry out regular reviews. These identify ways to make their IT infrastructure as efficient and cost-effective as possible. We regularly send McTear Williams & Wood an IT report. In this, we outline the changes recommended for a consistent quality network. 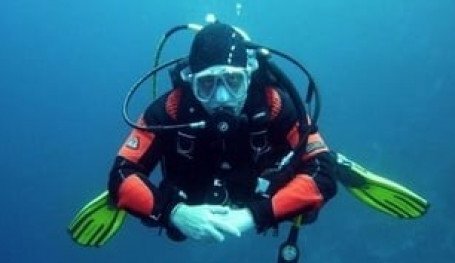 The benefit of working with a full-service agency is that all activities, be they web-related, IT or digital marketing, are aligned with the same strategy. This strategy is created mutually between us and our clients. It also ensures a consistent quality of service. This is something which may not be guaranteed by working with multiple third parties. Do you want a high quality website created and maintained? 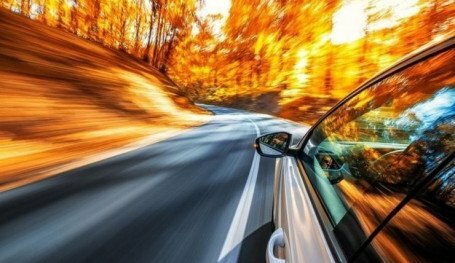 How about a constant stream of traffic through multiple marketing channels? If you want these, plus a reliable foundation of technical support, contact us using the form below or call us on 01603 515007.